 What truly sets apart our history of success is the process by which we approach investment management. Our investment team performs in-house research and portfolio management across various asset classes, allowing our advisors to construct portfolios that are unique to each client’s circumstances. We review time horizons, investment goals, risk tolerances, and tax situations to determine the appropriate asset allocation and investment selection for each client. The foundation of your long-term investment strategy is the investment policy statement (IPS), which articulates the investment goals and strategies that will serve as the framework for managing your portfolio. When crafting your IPS, our Wealth Advisory Team will help you align portfolio risk and return objectives with wealth planning goals. We are proponents of asset allocation as a key driver of risk and return within our clients’ portfolios. Together, you and your Wealth Advisory Team will work collaboratively with our Asset Allocation Committee – the firm’s principal professionals with decades of investment experience – to create a personalized portfolio allocation for your family. It is not what an investor makes, it is what they keep that is most important. To that end, we are diligent about optimizing after-tax returns for our clients. When possible, we allocate tax-inefficient investments into retirement accounts as well as tax-efficient investments into taxable accounts. We also harvest losses to offset capital gains and advise on concentrated positions with low cost basis.